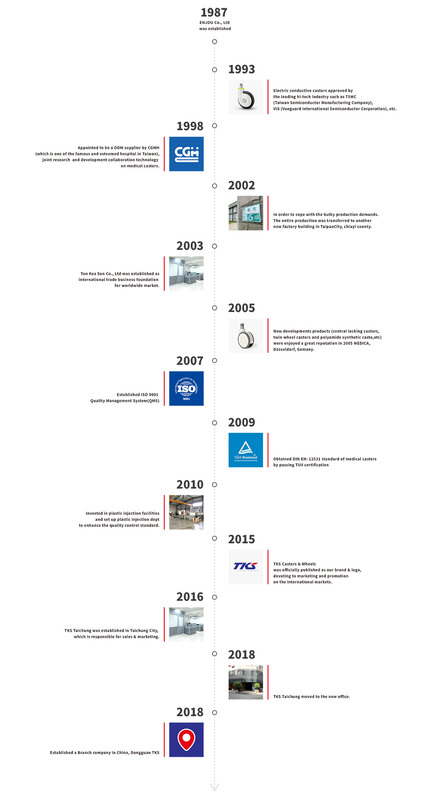 TKS Caster- is a professional caster manufacturer in Taiwan for 30 years, which supply a wide range of caster for many kinds of applications: Medical equipments, High-tech and laboratory equipment, Heavy-duty industrial caster and other institutional caster. Taking「Quality」and「Innovation」as the primary principles, TKS Caster provides high quality products with excellent material and well processing. The spirit leads TKS Caster to a trusted partnership with customer; TKS Caster will constantly offer best solutions and develop new design for you. With 30 years’ experience and multinomial patents (Taiwan, USA and Germany etc. ), TKS is constantly developing new products in order to satisfy customers’ multiple requirements. We commit quality-guaranteed products. 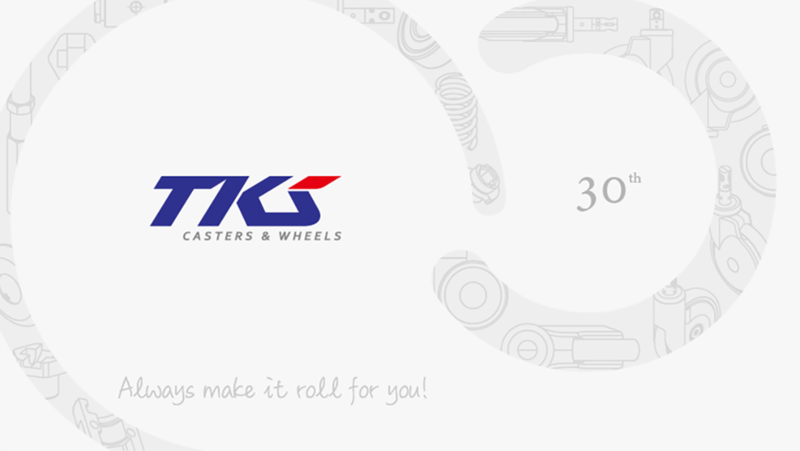 Nowadays, more than millions of TKS casters are around the world. Our market and sales team make suitable castor proposals and create the best profit to customers.